The Mobile Doc Scanner app, also referred to as MDScan, is the solution for online business owners who are regularly away from the office yet need to scan in important work related documents for later use. What this app does is it transforms your average Android smartphone into a mobile scanner that works just like the scanner in your office. It then saves the files to your smartphone and exports them so you can access them later on at your desk. It’s no wonder that this app has become extremely popular and is considered one of the best for business owners. Whether you need to quickly scan in a receipt, a contract, an invoice, a letter, or anything else for that matter, Mobile Doc Scanner lets you get the job done quickly. And everything that you scan into your Android smartphone will be saved as a PDF or JPG file so you can instantly share it, email it, export it, post it, etc. 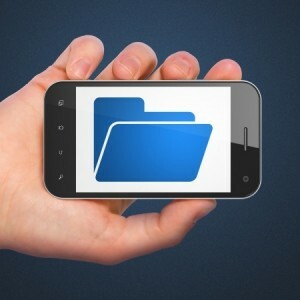 Although it may sound strange at first that you can scan a document onto your smartphone, especially if you think that you can just take a photo of it instead, rest assured that the Mobile Doc Scanner app does a much better job of scanning documents so that they’re clear and legible on your device and computer. This app is able to eliminate distortion in the image, automatically detect the borders of the document you’re scanning, and equalise the brightness in the image in order to ensure you can read it. This is all done within just a few moments so that you can keep going about your busy day without skipping a beat. And after your documents are scanned, you can even enhance or edit the look of the files using the filters available. The batch shooting mode on the Mobile Doc Scanner app is yet another great feature that helps you save time, especially when you’re on the go for business purposes. In this mode, you can scan several pages within a matter of seconds and then save them to your device so that you can process them as a batch later. Once your documents are scanned into your mobile device, you may want to get them off of it in case it’s lost or stolen. In this way, your sensitive documents will never be compromised. This app makes it easy to upload your files to cloud servers like Dropbox and Google Docs with the tap of a button. However, you can also keep your scans in one convenient location under “My Scans” within the app itself so that you have access to them later. Because Mobile Doc Scanner makes it easy to get high quality scans of important documents into your mobile phone while you’re conducting business on the go, this app is highly recommended and can definitely come in handy for small business owners.